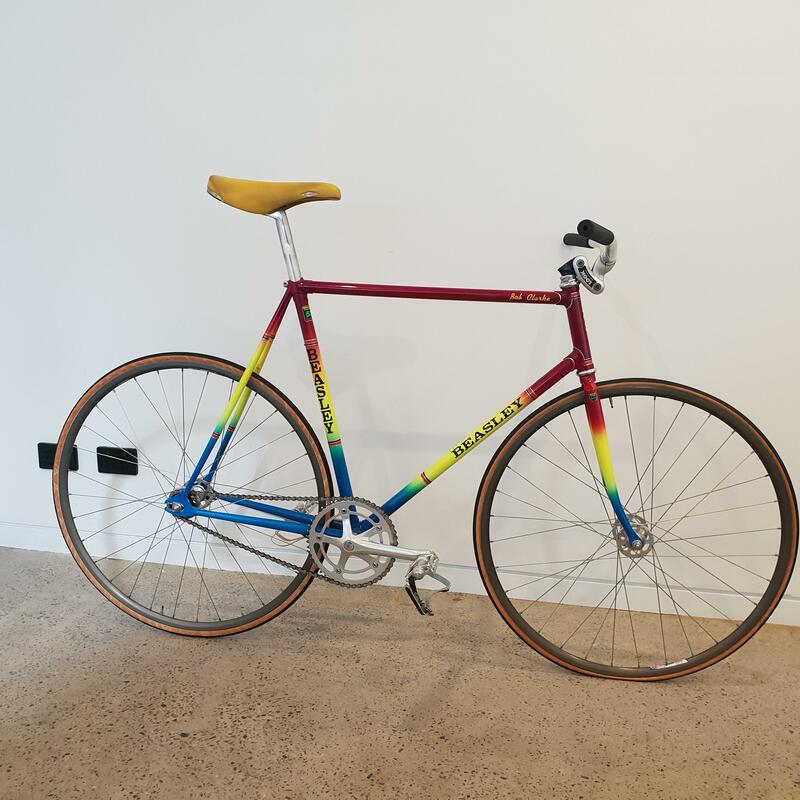 I was sold this track frame as an Orlowski. 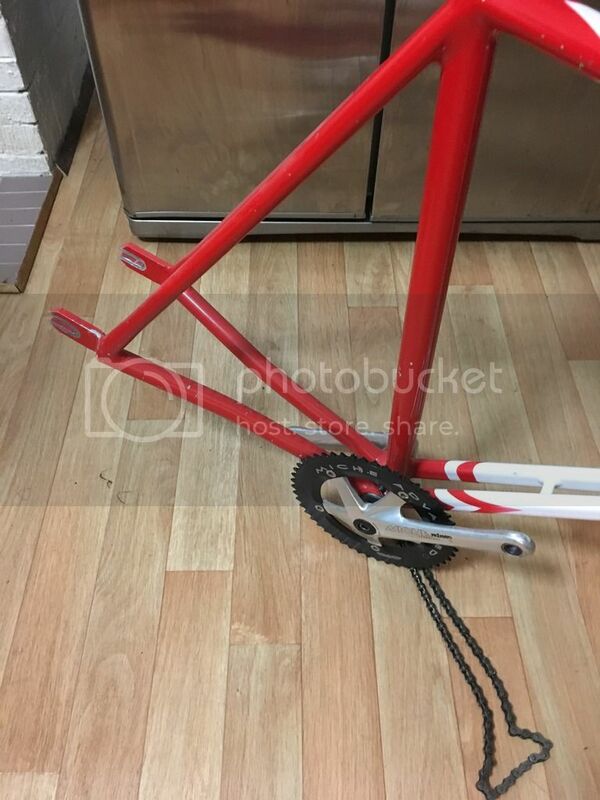 I’ve contacted Orlowski for information and they have said it’s not their frame. 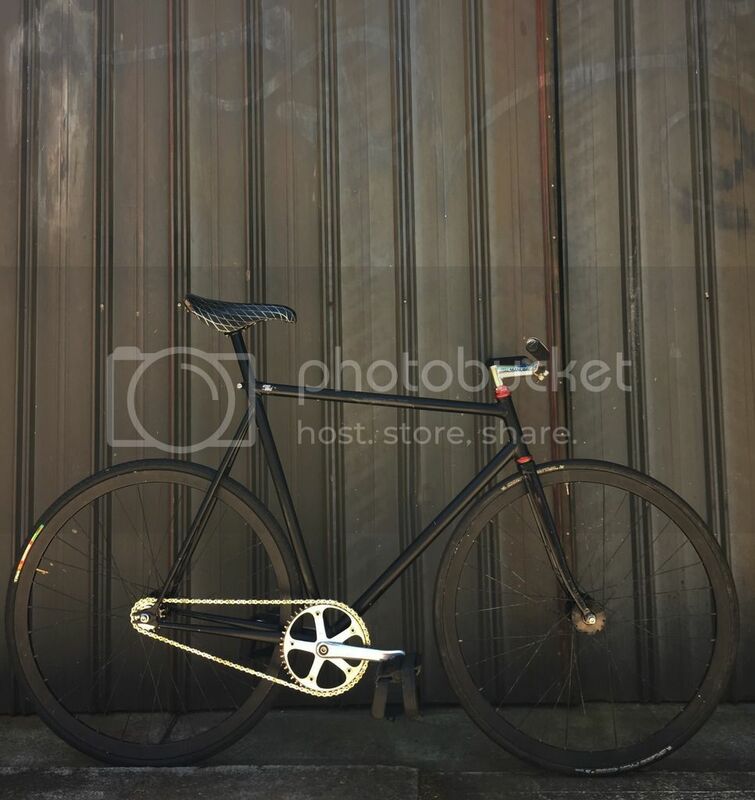 Just wondering if anyone could help i.d the frame. 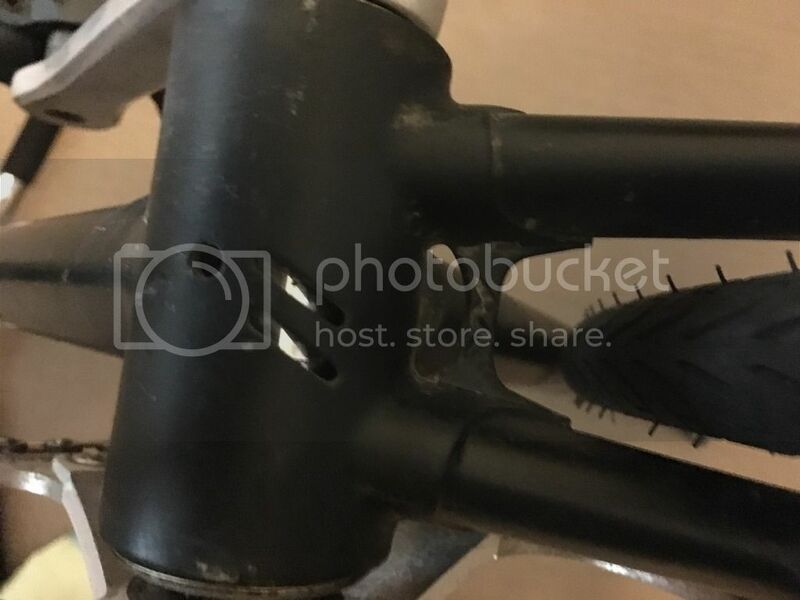 Slow day at work so I started snooping around the internet to see if I could find a bottom bracket cutout like that. 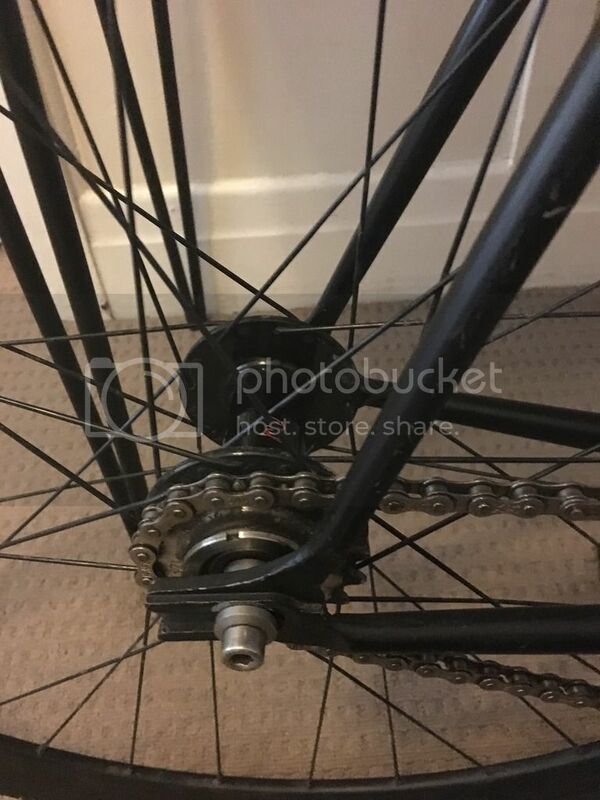 Interesting that yours appears to be off centre with the added central hole. Cheers for having a look and not saying McBain. 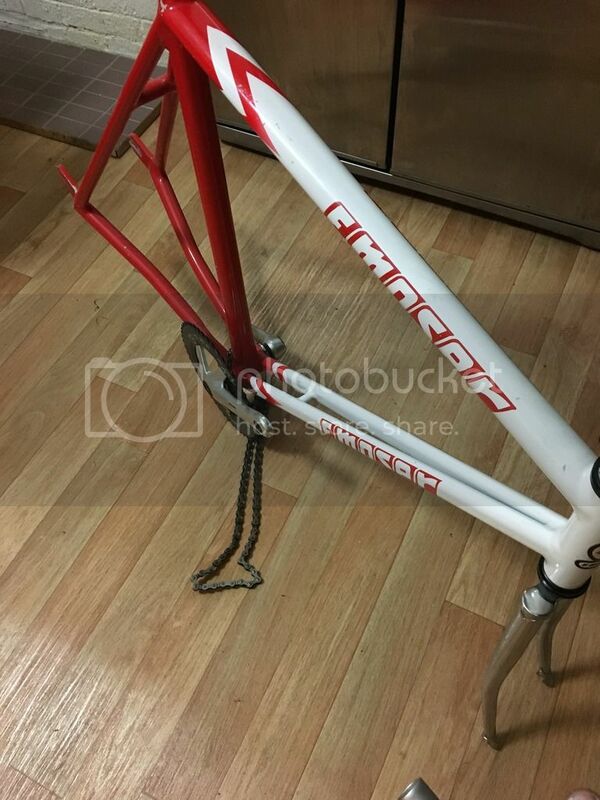 It is that frame off Gumtree, I guess it was sold to him as an Orlowski as well. 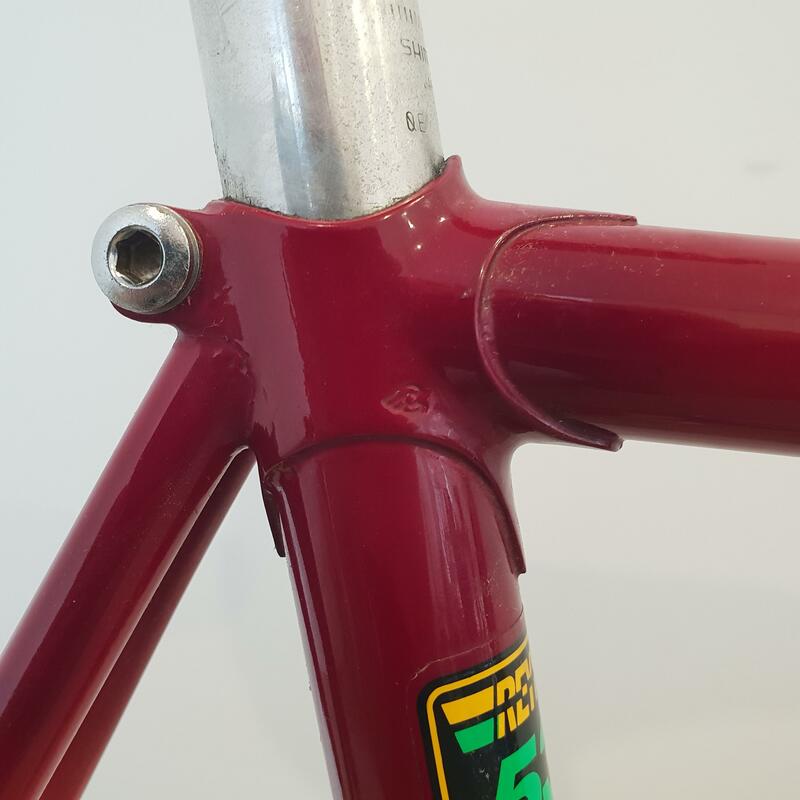 That bb on the LFGSS frame is so close, I might just call it an Orlowski and be done with it. I’ve also searched for that little bridge with the ‘m’ or ‘w’ but to no avail. Gotcha. So it’s a Reid. Paint it like the Orlwoski in the LFGSS thread and call it that. When you sell it, punters will find the LFGSS thread (and hopefully not this one) and you are good to go. Got another track byk and need help identifying it. The F Moser stickers are an afterthought. 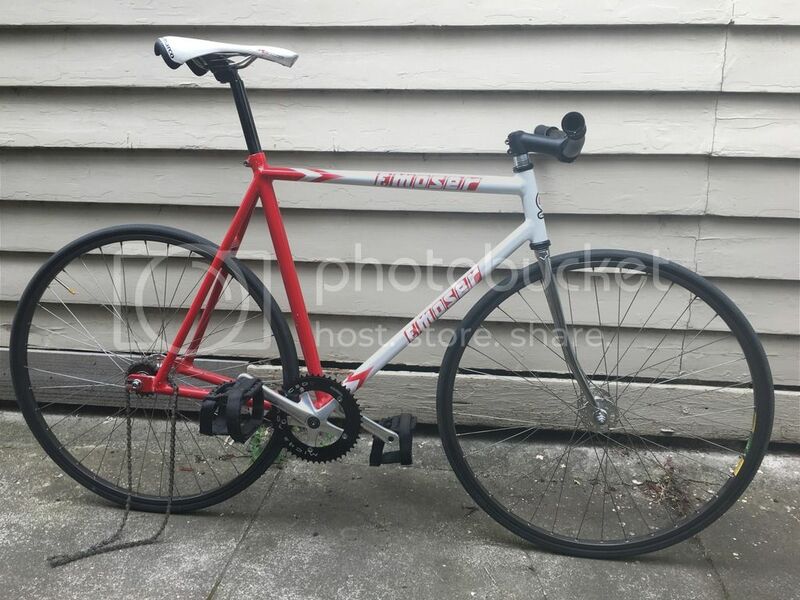 Didn’t realise those cantilevered dropouts were not exclusive to Cannondale. Didn’t realise anyone but Cannondale would ever wanna use those heinous dropouts. Hello everybody. Got another frame that I was wondering about. 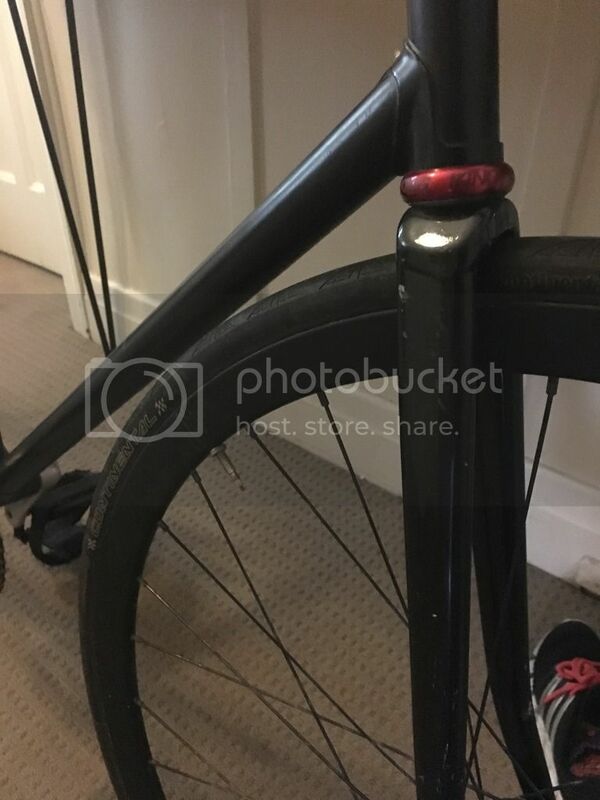 Stickered as a Beasley but did someone else build his frames? 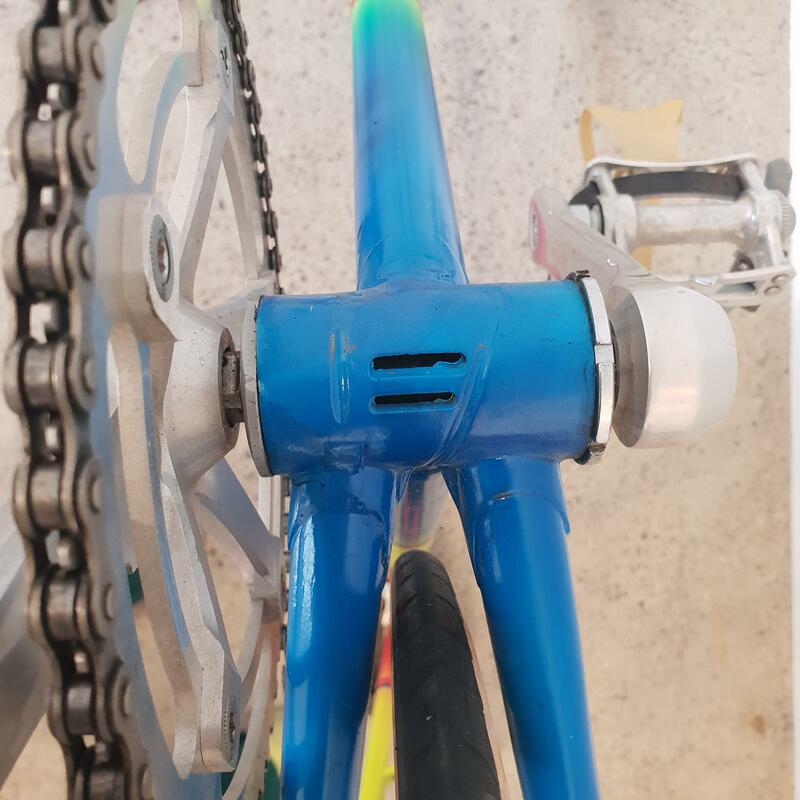 Cinelli stamped lugs and a road bb shell. Campy dropouts and I forgot to check the seat post size.